Rishihood is a new university being established in India. It is an impact-oriented initiative. The university believes in an ‘ecosystem’ approach to learning rather than isolated training and research. This means that Rishihood actively engages and nurtures an ecosystem for our academic areas as well as for the larger growth of the nation and society. We are creating a learning environment which inspires people to achieve ‘Rishihood’. Our programs and projects are being designed so that each person associated with the university is motivated to contribute to society in a positive way. Leaders of our society have never been generals or kings but rishis. When you are a rishi, you become blessings to mankind. This is Rishihood. The name Rishihood signifies the state of being a Rishi and is derived from Swami Vivekananda’s inspirational discourse. Swami Vivekananda is the philosophical mentor to Rishihood University. 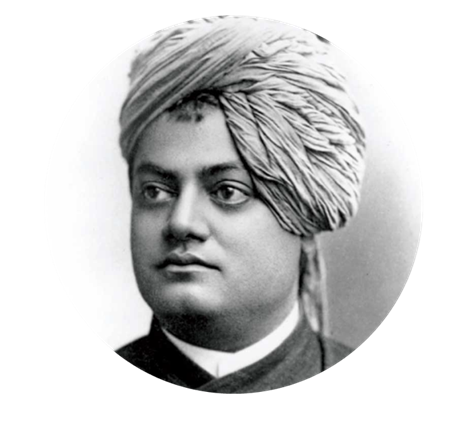 His ideas motivate us to conceive a paradigm of education where we prepare ‘Rishis’ – people who become a blessing to mankind through their thoughts and actions. He was a visionary monk and social reformer. In his short life of 39 years, he had traveled the world to spread the message of peace, written 9 volumes on deep knowledge on philosophy, education, religion, nation and much more. After 150 years of his birth, he continues to inspire, guide and move people.